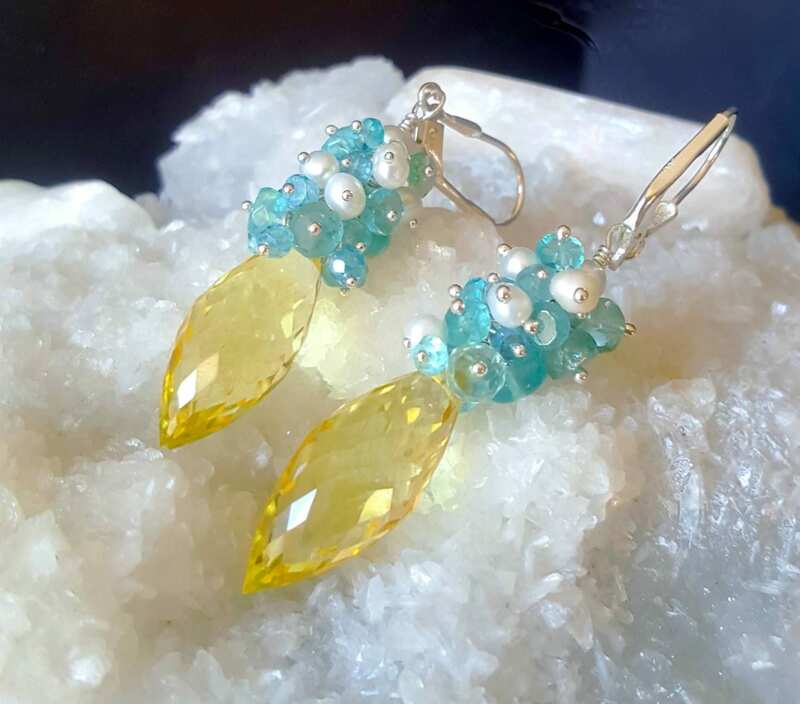 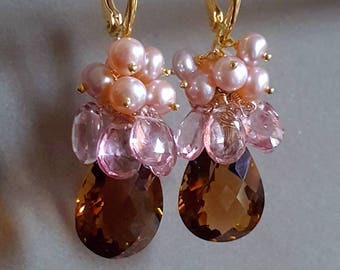 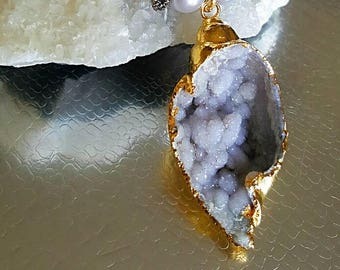 Sunny yellow topaz faceted marquis shaped gemstones are topped with a gorgeous tight cluster of neon apatite faceted rondelles with white seed pearls sprinkled about. 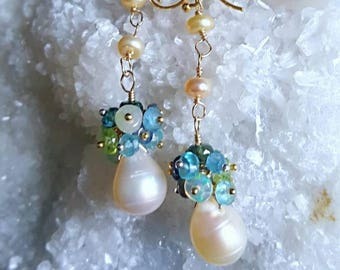 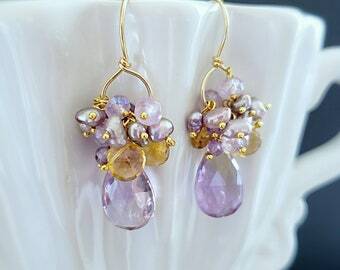 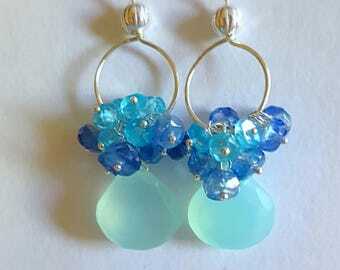 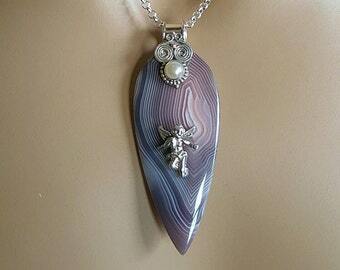 Gorgeous color combination so fresh for spring and summer, will also make gorgeous earrings for the bride. 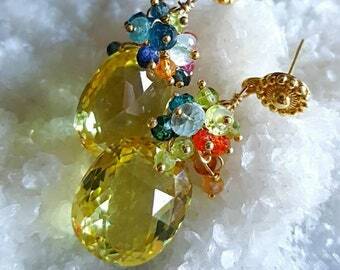 The yellow topaz is appx 18mm.